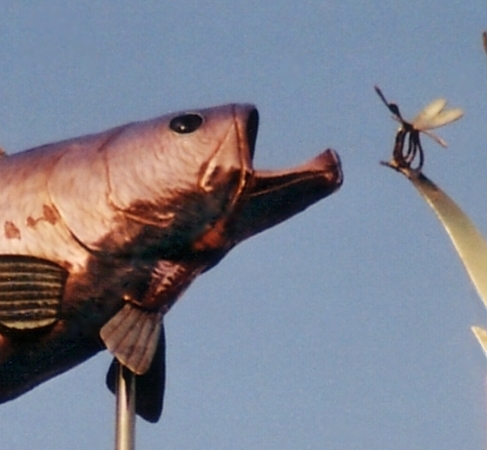 Our Large Mouthed Bass Weather Vane, Micropterus salmoides, is constructed with a copper bodied fish and splash rings, and brass fins, tail, dragonfly and reeds. Because our vanes are made to order, the choice of metals can be modified at the time an order is placed. The eyes are handcrafted glass with black pupils. 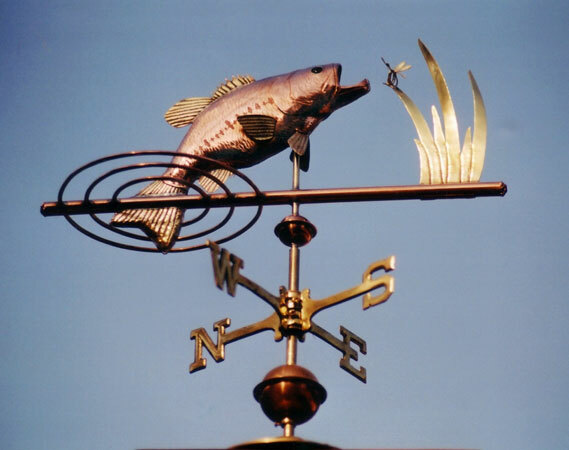 West Coast Weather Vanes offers optional fish taxidermy glass eyes to give this weathervane a distinctly lifelike appearance.